My daughter is four and a half and just made this pink flower bookmark. This was her first sewing project and we're both very proud of it! She needed some assistance but had a fabulous time sewing. We cut two flower shapes from felt, two felt circles and a 12 inch piece of ribbon. We pinned the felt flower pieces to the ribbon with safety pins then stitched around the flower with embroidery thread, making sure to stitch through the ribbon. Then we stitched two circles to the other end of the ribbon. Viola' the book mark is ready, all we need is a good book to read. This is actually an easy make bookmark that doesn’t need much resources or stuffs to build one. Stitching is also an easy task, as those flowers and other add-ons can be bought from stores. I really loved the bookmark design. Since we are celebrating The Poppy Appeal, I thought how about a Poppy Appeal book mark. Many thanks for your great work. Wonderful! I think this is a great project for any starter. 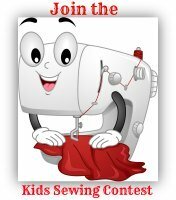 Good luck sewing 4 year old girl! I suggest reading "Miracles on Maple Hill" to her :-) Awesome book!!! I have a 6 yr old and this is def. in her time span. I can't wait to teach her. We're actually learning together. I love it! A definite go getter! she did a great job on her bookmark! Thanks for sharing this idea. 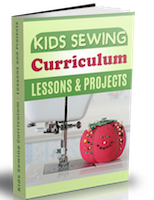 It is a simple project that kids can really have fun creating. We are going to make some of our own this summer break.